Dr Hung-Sying Jing is Professor of the Institute of Civil Aviation at the National Cheng Kung University in Taiwan, Republic of China. He serves as an editorial board member for the Aviation Psychology and Applied Human Factors Journal and also Taiwan’s Science Monthly. He holds visiting professorships at Airbus Industries, Embry-Riddle Aeronautical University and Xiamen University in China. He is the author of numerous articles in applied mechanics and also several books in Taiwan. Dr Jing received his PhD from the Ohio State University in 1985. His specialties are aviation human factors and culture in flight safety. Dr Allen Batteau is a cultural anthropologist and former director of Wayne State University’s Institute for Information Technology and Culture. He is the author of The Anthropology of Aviation and Flight Safety (Human Organization), Anthropological Approaches to Culture, Aviation, and Flight Safety (Human Factors in Aerospace Safety), and numerous other books and articles, most recently including Technology and Culture (Waveland Press, 2010). A certified private pilot, his research has been funded by the National Science Foundation, the National Aeronautic and Space Administration, and numerous other international and corporate bodies. He is a graduate of the University of Chicago. "This book could not be more timely as aviation becomes increasingly international and, with it, the need for professionals to understand cultural forces and how they can affect aviation safety. Jing and Batteau provide superb insights into eastern and western cultural influences, and how Confucian perspectives differ from those of the West. This book would be a welcome addition to anyone with an interest in cultural differences, aviation safety, and human factors." 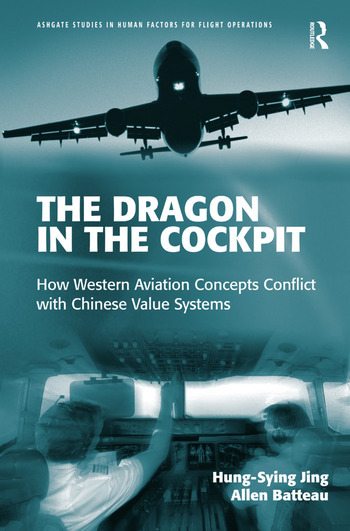 "In The Dragon in the Cockpit, Jing and Batteau examine the most important differences between the Chinese and Western cultures and value systems in flight operation, especially since China is becoming one of the most prominent forces in commercial aviation. Can such vastly different perspectives be overcome by rigorous training, strong management, professionalism, and a strong cooperative culture? Jing and Batteau give you their insights in this magnificent book!"